This Font Identification Guide is a collection of Multiline and Inline fonts. There are separate sections for each type category, to simplify searching for a particular style. The "Next/Previous" page links are only within the selected style category. These are collected from various sources, including books depicting film types, which are not necessarily available as digital fonts. I have tried to identify the sources or foundries, if known. 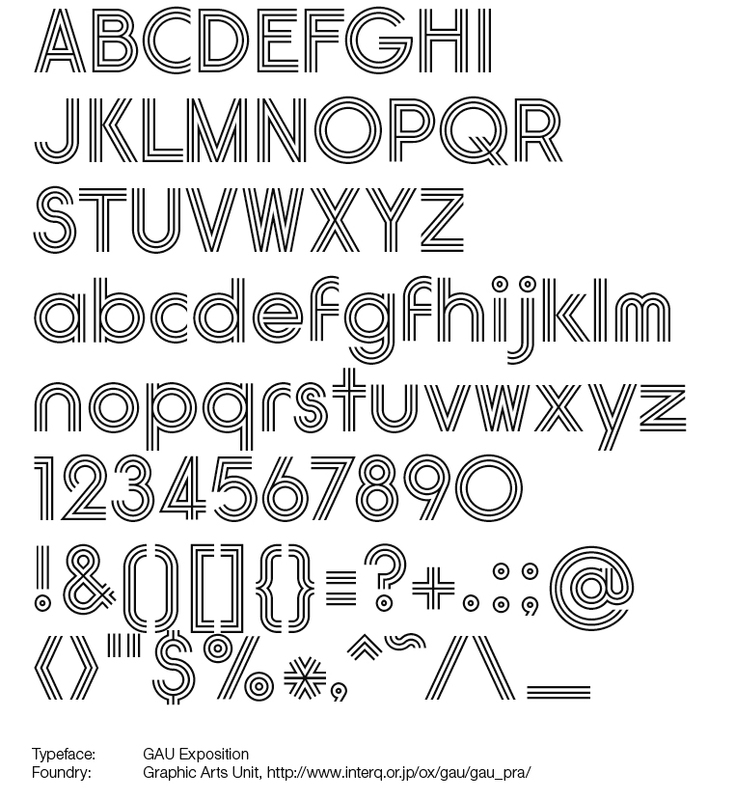 Some of these samples are also included in the "Bauhaus-Style" Font Identification Guide, however the fonts in this Lined Font ID Guide do not fall into one stylistic category. They are just fonts with multiple outline elements, or an inline style to their design. The Lined Font Identification Guide is Copyright © 2007 by Michael Yanega. The typeface names and designs are the property of their respective owners.